Inspired by the Charles Bukouwski poem The Bluebird. Music for Silent Films for Kennington Biosphere Silent Comedy Film Festival. Cello & piano work for film/tv pitch with Derek Kirkup Soundtrack: The Truth I never Knew. Trinity Laban Institute, London improvised music for dancers and choreographer. Music Tech Fest at IRCAM Pompidou Centre, Paris, France. Ginestrelle, Assisi Italy, Artist’s residency. Solo cello in 10th Century church and performances in Art Studio stair well and studio. Field recordings in and around Assisi. The Atlantic Centre for the Arts Florida USA with Mary Halvorson. Collaborating and performing with ACA musicians, dancers and artists. 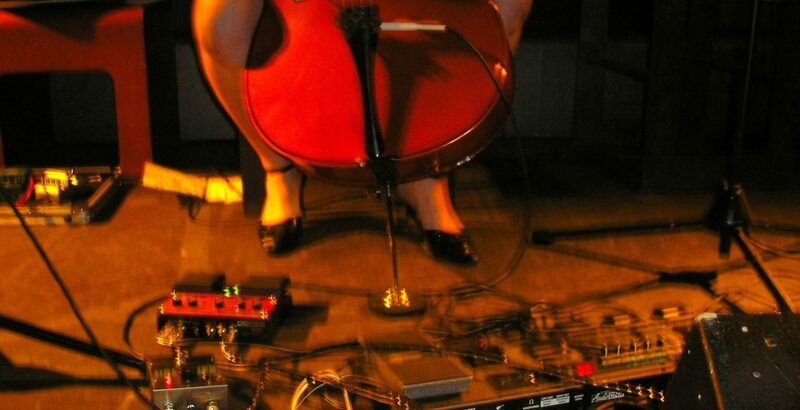 Field recordings incorporated into musical improvised works. The Guggenheim Exhibition at the National Gallery of Victoria. Music performed and composed for various ensembles reflecting the music and art of the Guggenheim exhibition. Australian Tour with Toni Childs (USA) cello and backing vocals for National Tour for the legendary performer, Toni Childs. Opening as solo act for FourPlay eclectic, electric string quartet CD launch, Northcote Social Club.